If Dogs Could Fly: More than Wings are Needed for Flying High! 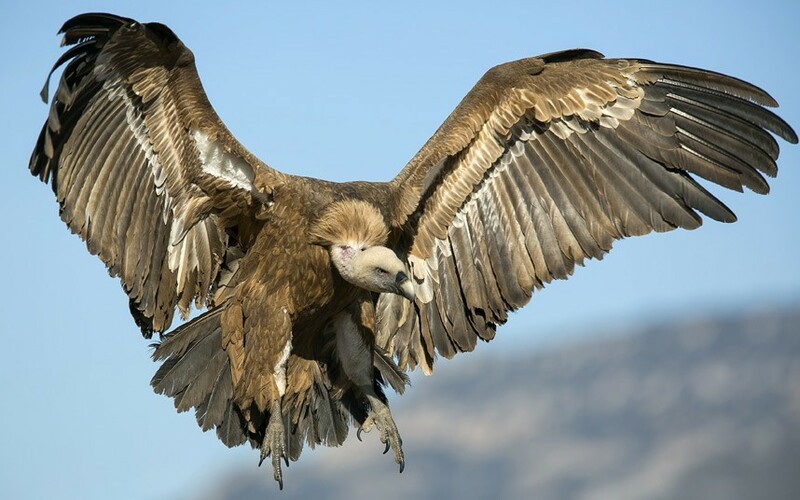 God made wings for animals – like birds, insects, and bats – to fly. (In the case of penguins, they fly underwater!) 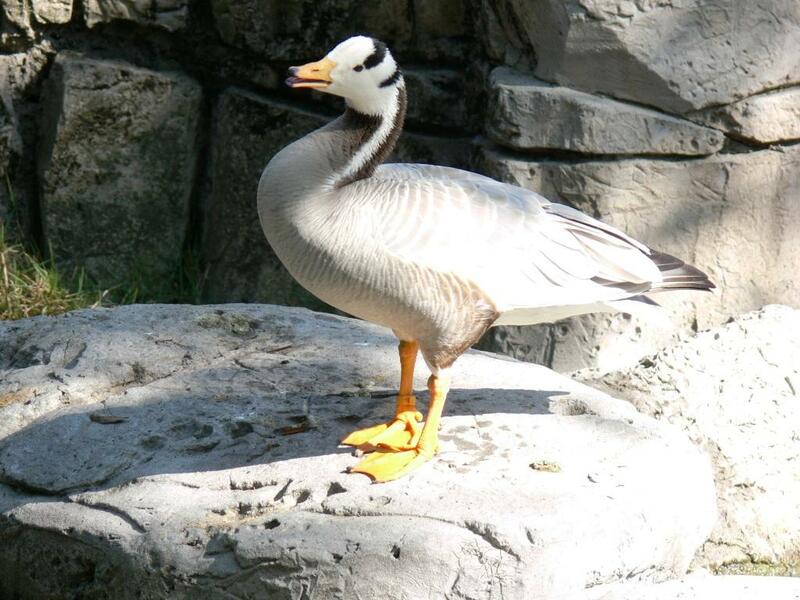 But it takes more that wings to fly high: ask a Bar-headed Goose (Anser indicus), who migrates over the Himalayas! But what about dogs – and humans? But who was Antis, and how did he survive flying in oxygen-starved altitudes? 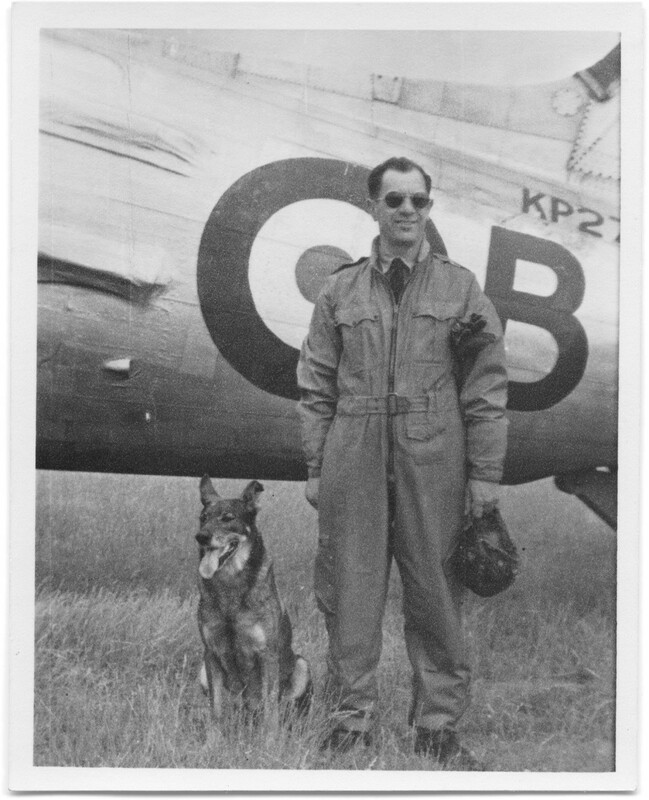 British Air Ministry regulations prohibited dogs flying on combat missions, of course, but Antis hated to be “grounded” if that meant being separated from Robert. During June 1941 Antis took matters into his own paws, quietly disappearing when Robert readied for a bombing mission over Bremen, a German port city (known for its strategic military activities). Antis quietly hid inside the Vickers Wellington bomber where Robert served as turret gunner. Wellington bombers flew at altitudes as high as 16,000 feet, so air crews wore oxygen masks, to compensate for the oxygen-thin air at that high altitude. But no one had equipped Antis for such oxygen-thin conditions! Robert concerned himself with the crew’s mission, bombing Bremen’s oil refinery, till his attention was distracted by someone nudging his elbow: Antis! How could Robert save Antis? Antis needed to inhale concentrated oxygen, immediately, but so did Robert, at least until the plane descended to a lower elevation. Meanwhile Robert busied himself with his duties as turret gunner, wearing the spare radio headset, since his oxygen mask strappings contained his usual headset. It was Antis’ canine breathing that was being broadcast through the airplane’s intercom, due to the microphone attached to the oxygen mask. Meanwhile, the flight became more hazardous. Antiaircraft fire exploded nearby, bombs dropped from Robert’s plane, and Messerschmitt fighters tried to shoot the British Wellington fighter-bomber out of the night sky. But, eventually (at the successful close of the mission, thanks to God’s providence), Robert and his air crew mates – and Antis — successfully returned to their home base. Of course, Antis’ stowaway antics were by then no secret. Wing Commander Josef Ocelka, 311 Squadron’s commanding officer, liked Antis—but sharing an oxygen mask during future bombing raids was unacceptable. The solution? A doggie oxygen mask, specially tailored for Antis. Antis continued to have many death-defying adventures, during the war, as Robert’s loyal dog. But, thanks to his canine oxygen mask, at high elevations Antis no longer needed to share an oxygen mask with Robert. Obviously, Antis was not born with the capacity to survive oxygen-starved altitudes without the help of an oxygen mask—and it requires purposeful design and clever engineering to equip dogs like Antis for such high-altitude conditions. And so we can (and should) marvel at the creative genius and technical problem-solving that achieved a solution to Antis’ need for high-altitude oxygen. But what about animals—like many high-flying birds—that have no such oxygen mask? How can they survive elevations like 15,000 (or higher) without an oxygen mask? 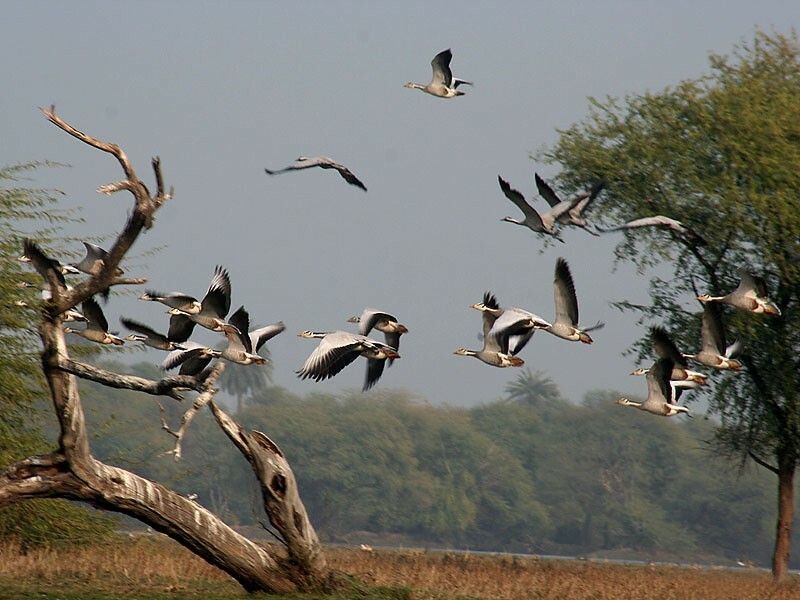 What kind of birds, soaring or migrating, fly at such oxygen-scarce altitudes? 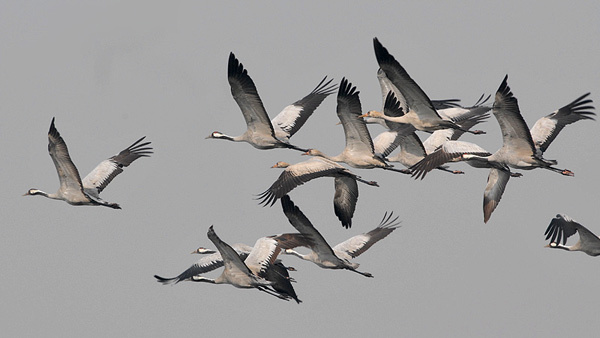 Some birds, amazingly, can even soar at 36,000 feet (~11,000 meters)! A combination of empirical science (i.e., direct observation) and forensic science (physical remains that show causality events). 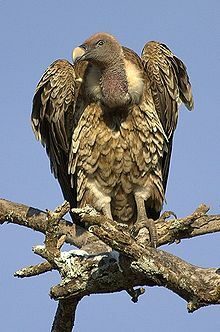 Specifically, a griffon-vulture, called the Rüpell’s Griffon, collided with an airplane, at that altitude, over Côte d’Ivoire, Africa. But what difference does it make, to us, when the atmosphere is oxygen-scarce? How are air-breathing humans and animals affected when the oxygen is “thin”? 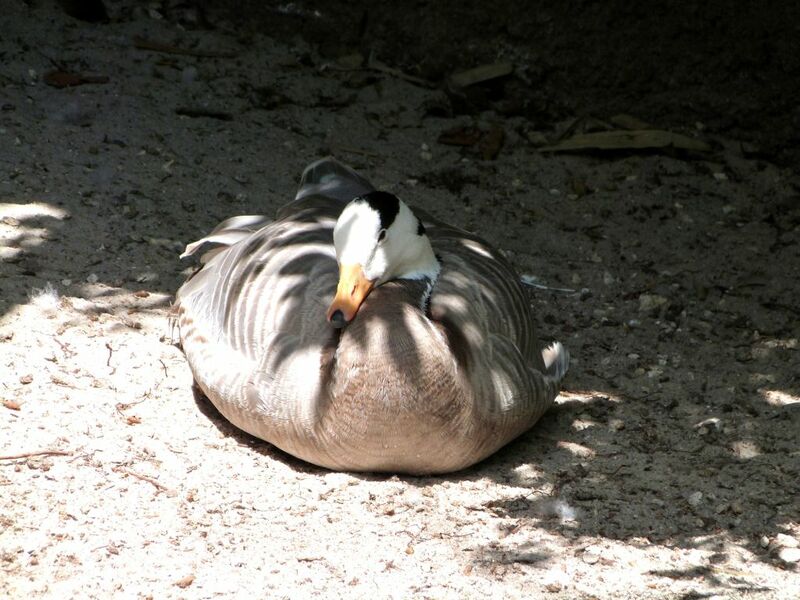 But how are birds able to breathe in such oxygen-starved conditions? What they have—thanks to their Creator—is much more efficient that Antis’ custom-made oxygen mask! 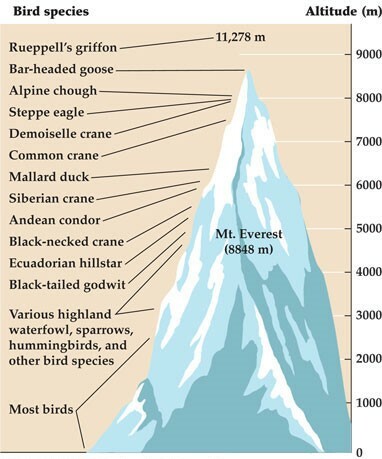 So, is the “flow-through principle” basically all that there is, to why birds can breathe at higher altitudes, — or is it even more complicated than that? If all of that sounds complicated it is because it is – very complicated. 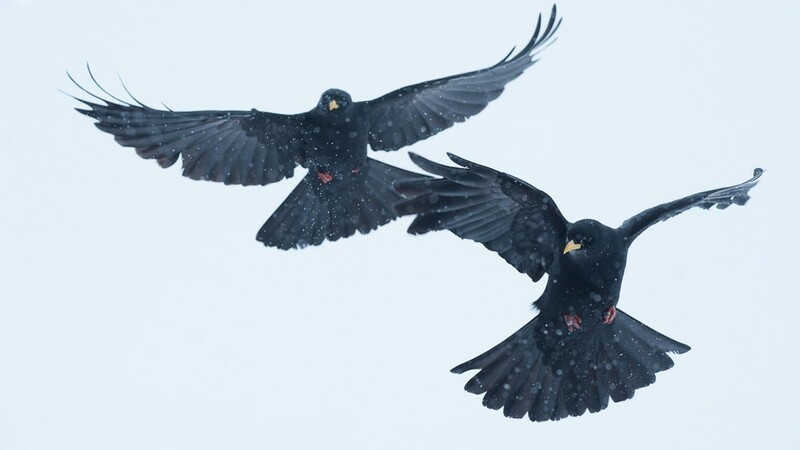 But in order for birds to successfully fly at high elevations it was necessary for God to design and install bioengineering features that would succeed in such thin air. And, because God did not provide such physiologies for dogs – such as Alsatian German Shepherds (like Antis) – it was needful for Antis to have his own oxygen mask, for those times when Antis flew in oxygen-scarce altitudes. So, three cheers for the East Wretham fitters, who custom-fit a canine oxygen mask, for Antis’ high-altitude breathing! Also, proper credit is surely due to Vickers-Armstrongs (Aircraft) Ltd., the manufacturer of the Wellington bomber that Robert and Antis flew in. 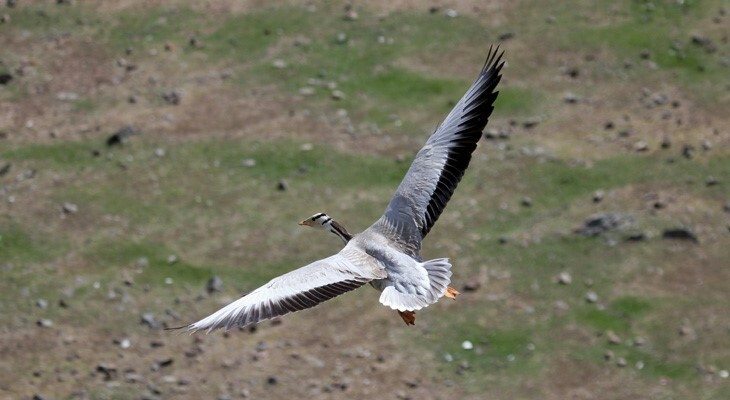 Yet how much moreso should we cheer and extol our Creator-God, for how He designed and constructed high-flying birds,(7) with respiratory physiologies that need no manmade airplanes or oxygen masks! 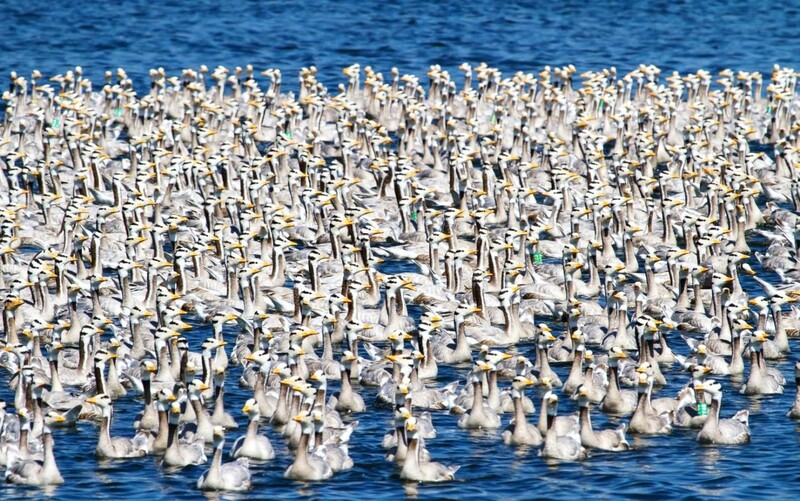 Yes, “the heavens declare the glory of God”(8) — and so do the birds he made to fly in those skies, even the skies that are so high that others, flying there, need oxygen masks! Damien Lewis, The Dog Who Could Fly (New York, NY: Simon & Schuster, 2015), pages 178-180, 187. Jonathan Elphick, ed., Atlas on Bird Migration: Tracing the Great Journeys of the World’s Birds (Buffalo, NY: Firefly Books, 2011), page 23. Thomas Alerstam, Bird Migration (New York, NY: Cambridge University Press, 1993), page 276. Elphick, Atlas of Bird Migration, page 123. Alerstam, Bird Migration, page 277. Graham R. Scott, “Elevated Performance: The Unique Physiology of Birds that Fly at High Altitudes”, Journal of Experimental Biology, 214(15):2455-2463 (August 2011); Douglas L. Altshuler & Robert Dudley, “The Physiology and Biomechanics of Avian Flight at High Altitude”, Integrative and Comparative Biology, 46(1):62-71 (2006).